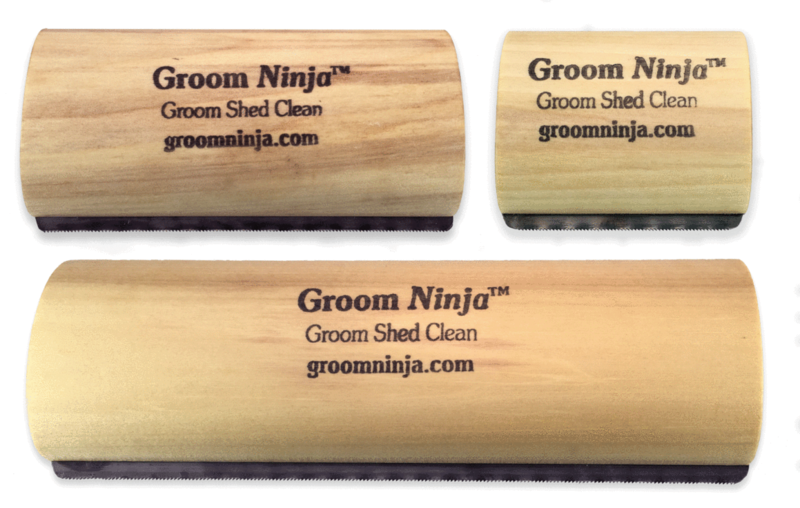 GROOM NINJA The ALL-IN-ONE Grooming, Shedding, and Cleaning Tool! 40M+ Viewers Can't Be Wrong! 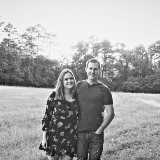 Email Hal@groomninja.com for your Free Store Sample! 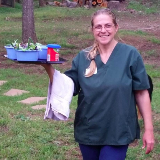 Ideal for grooming, shedding, cleaning your horse, dog, cat, rabbit. 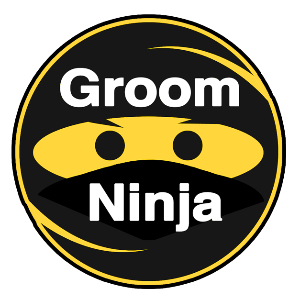 The Groom Ninja is effective, easy to use, non-toxic, and safe for all animals, regardless of age. Plus, Groom Ninja products are made in the USA and comes with a 100% money-back guarantee if you’re not completely satisfied. After seeing the Groom Ninjas ads on my Facebook for over a year I FINALLY purchased one. My review is simple. It is the BEST brush on the market. Dempsey loved getting brushed and more loose hair came off of him than ever before. I am hoping this helps me have to sweep a little less--I have to do it every other day now because he is shedding that winter coat. But I highly recommend for any dog/cat lovers!! Tried it on the cats, the dogs, the goats....and the horses are next. I'm even going to try it on a couple of raccoons. Not just does it work as advertised but it took only a few minutes for amazing results.... and the animals love it. Even the most difficult cat found the experience relaxing. I ordered it on Wednesday afternoon and it was in my mailbox by Friday in Alabama. Fastest delivery ever! Fantastic product.